Real Madrid face Villarreal on Thursday at the Estadio de la Cerámica, as Los Merengues return to league action at the start of the calendar year. The defending European champions won the FIFA Club World Cup to conclude the 2018 campaign and subsequently, have a game in-hand against the Yellow Submarine. 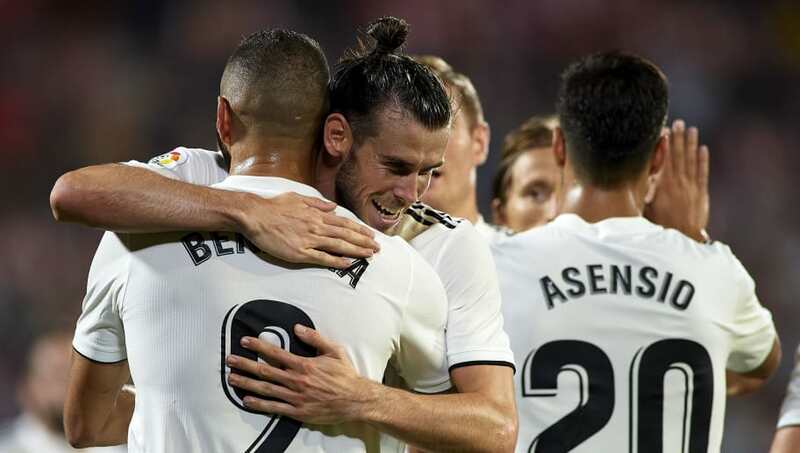 Los Blancos can draw level on points with Sevilla with a victory against the Castellón outfit, who sit 18th and could use three points of their own in their battle against relegation. Here’s the potential lineup Santiago Solari could select for Thursday’s encounter. Thibaut Courtois (GK) – The keeper hasn’t had the best of debut seasons this campaign for Real Madrid, but has made several key saves for Los Blancos. He has helped to keep eight clean sheets in 18 appearances in all competitions this season, and will be looking to get his ninth against Villarreal. Dani Carvajal (RB) – The full back has struggled with injury this campaign, but has done well all things considered. He has been involved in four goals in 16 appearances, scoring once and providing three assists. Raphaël Varane (CB) – The Frenchman has struggled with injuries this season, but has usually looked solid, even with the absence of his usual defensive partner, skipper Sergio Ramos. The 25-year-old has terrific pace and is known for his match-winning challenges in the area. 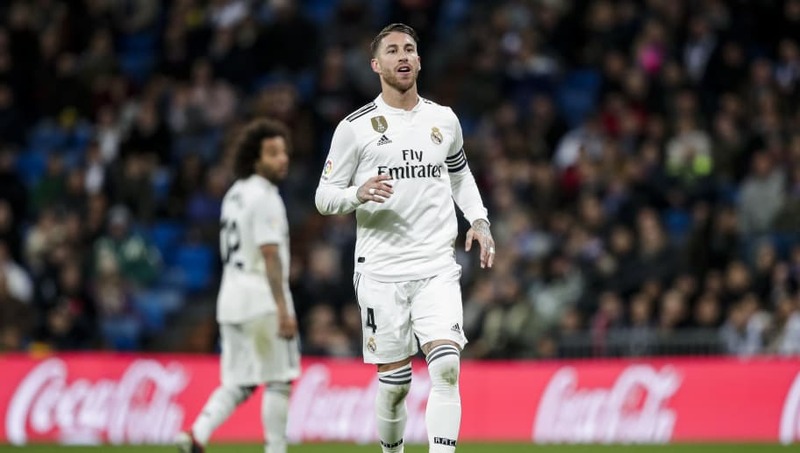 Sergio Ramos (CB) – The Spaniard hasn’t had the best of seasons so far, but has played the entirety of Madrid’s league campaign. He has five goals to his name in all competitions and has helped to keep 11 clean sheets in 23 starts for the club this season. Marcelo (LB) – The Brazilian is known for his attacking prowess in the opposition’s half. He possesses great technical ability, pace and is no stranger to letting fly either. Luka Modri? (CM) – Despite multiple awards this year, the Croat hasn’t had the best of campaigns by his usual standards. The midfielder has been involved in just five goals in 22 appearances, providing four assists and scoring once. Casemiro (CDM) – The Brazilian has been nursing an ankle injury this campaign, but that hasn’t stopped him from contributing to his side. He is a strong, physical player that sits in front of the defence and ensures that any kind of attacking threat is snuffed out. Toni Kroos (CM) – The midfielder possesses great passing ability and usually provides the creative spark, which has been essential for Madrid in the past. However, his performances have been below-par this campaign, with one goal and two assists in 20 appearances overall. Lucas Vázquez (RW) – The Spaniard has found it difficult to adjust to his position as the new right-winger in Madrid’s front three, but ended the latter stages of 2018 in better form. He has great pace and technical ability and can create a moment of inspiration, when his side are in desperate need. Karim Benzema (ST) – The Frenchman may not have had the same goal return as he did when he played alongside Ronaldo, but he has contributed to some key goals for Madrid. He seems to be the main goal-getter now for Los Blancos and has ten goals and five assists in 25 appearances in all competitions. Gareth Bale (LW) – The Welshman has great pace, dribbling ability, quality from dead-ball situations and a wand of a left-foot. He has struggled with injury problems, but has come up big when Madrid have needed him, netting a hat-trick against Kashima Antlers in the Semi-finals of the FIFA Club World Cup.